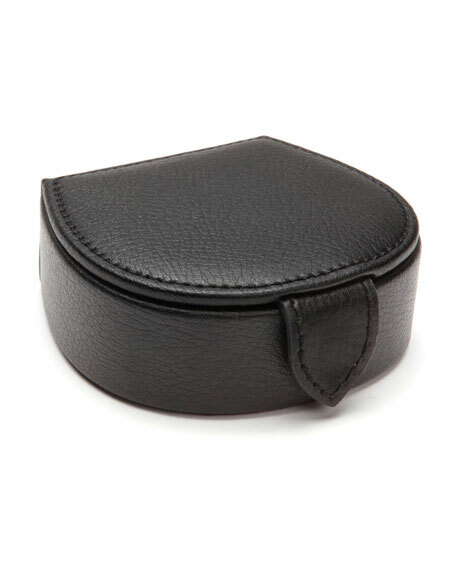 The Blake stud box, in pebble leather, incorporates a classic gentleman's travel necessity with a bit of flair. 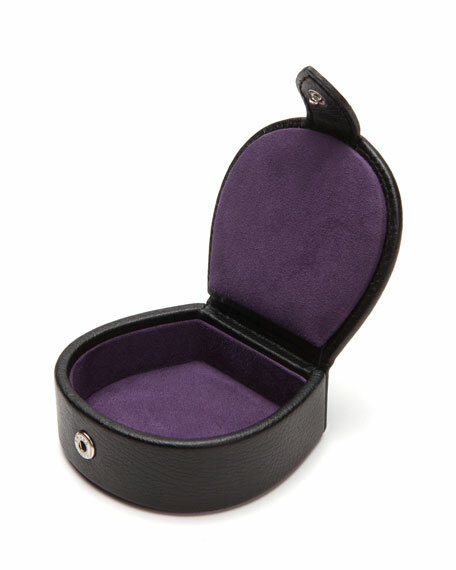 Includes ultrasuede lining and snap closure. Approx. 3.5"L x 3.25"W x 1.5"D.